Health & Safety in the workplace is a bit of a minefield at the best of times but when you add all the extra complexities of monitoring for noise, vibration, dust and heat stress then setting up a regime correctly can be daunting and stressful. However, occupational monitoring is a fundamental requirement as workplace noise, dust, heat stress and vibrations are potential hazards to an employee’s health. As an employer, it is necessary to ensure compliance with those industry regulations which impose stringent limits to protect workers. Employees can be exposed to high vibration levels as a result of using power tools or by driving forklifts. 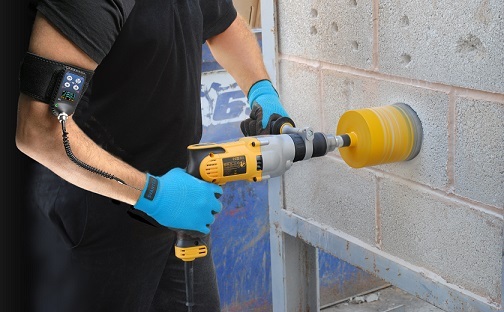 Excessive exposure of workers to vibration has been known to cause serious health problems such as hand-arm vibration syndrome or white finger, back pain, carpal tunnel syndrome, and other vascular disorders. Overheating in the workplace can lead to a range of adverse effects. Mild thermal stress, for example, can cause skin problems, fatigue, fainting and nausea whilst more serious overheating can lead to unconsciousness. AcSoft Health & Safety has run a number of seminars near its office in Bedfordshire and they’re always very popular. The next one is being held on the 12th September at The Sharnbrook Hotel in Bedford and will cover many aspects of workplace monitoring for noise, vibration (hand arm and whole body), dust and heat stress. Experienced speakers will cover many key topics including the standards employers need to adhere to, which instruments to select and how to generate a report at the end. Speakers at the event include John Shelton BSc (Hons) MSc MIOA who chairs the instrumentation working group for the Institute of Acoustics. An introduction to noise – what is the Noise at Work Act an how do I comply? What is the difference between a noise dosimeter and a sound level meter and when do I use which? Selecting hearing protection: there are a number of ways to select hearing protection including HML, C-A, Octave band analysis or just plain guesswork. What are the benefits of each method and what should I use? Workplace monitoring for dust, VOC and gas: what do I have to measure for and how do I do it? Heat stress and cold stress – what is it and how do you measure it?